David provides Divorce Angels users with a free Re-invent Your Life Breakthrough Session. He would love to chat about how you can work together to move positively and confidently into the next phase of your life. I know from my own personal experience how heart-wrenching breaking up with someone can be. It can leave you feeling confused and overwhelmed with emotion. Nobody plans on getting divorced or ending a romantic partnership; it’s like a life plan that went sideways and sadly, the effects can often be felt for years. I am committed to ensuring you get closure, enabling you to end your suffering so you can move forward with the next phase of your life. Imagine feeling lighter, happier and freer than you have in a long time. Even though divorce can be a traumatic experience, it can also be a time to do something for yourself and reconnect to who you really are. That person still lives inside of you and is just waiting to be nurtured and rediscovered. Change can be a transformative time of immense healing that can result in renewed self-confidence, a clear path forward and ultimately a meaningful and redesigned life the way you want it to be. Over the past 12 years, I have developed a personalized proven system along with support tools that will empower you to overcome the hurt, let go of your past and what no longer serves you, and move positively and confidently into the next phase of your life. If you want to claim the new you, book a free Re-invent Your Life Breakthrough Session. David is a truly gifted life coach. Many people have reported that they got more out of working with him for 3 months then they got in years of therapy. Beyond his deep capacity to provide emotional support, he also provides you with practical strategies to support you moving forward with a positive attitude. 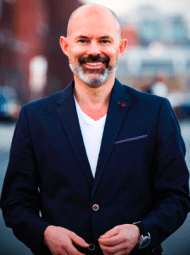 David has helped 100’s of people peel back layers of self-doubt and shame to get to the core issues that are holding them back from moving forward in creating the life they want. He has a genuine heart and deeply cares for his clients. To ensure, each client gets what they need, he limits the number of people he will work with at any one time. David has our highest recommendation. If you want to take back control of your life and create the life you deserve, working with him will achieve this.